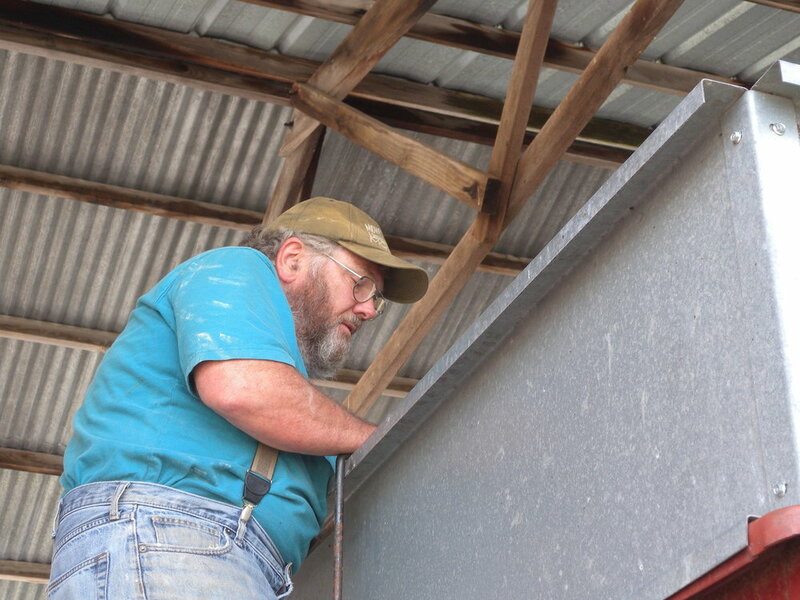 The Mill is where the farmers brings their grains for cleaning, storing and grinding into flours. Here are some pictures of that process. When grains arrive at the mill they are then dried to 11-13%. This is done with fans and careful monitoring. Our seed cleaning machine, nicknamed "Mary Ellen Carter"
Once the grains are dry they are run through the seed cleaner to remove chaff and clean the seed. This is done mechanically with a mill worker supervising. 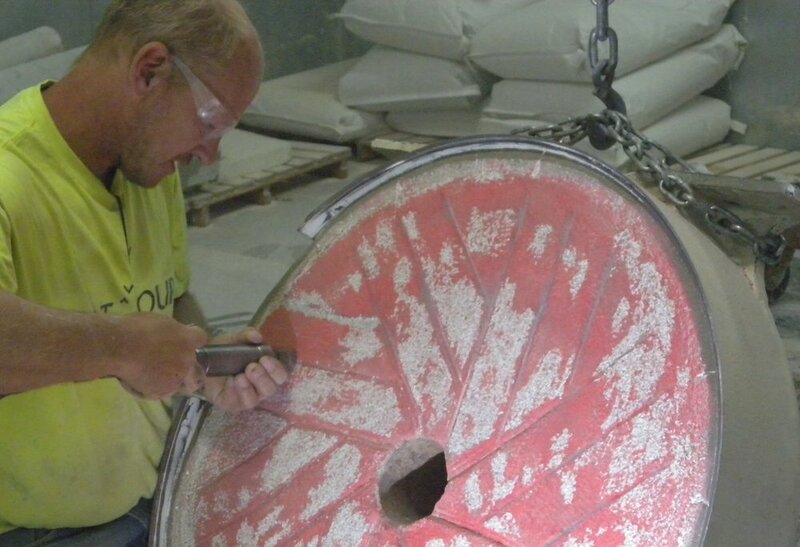 Jim dresses the millstone to keep it at peak performance. 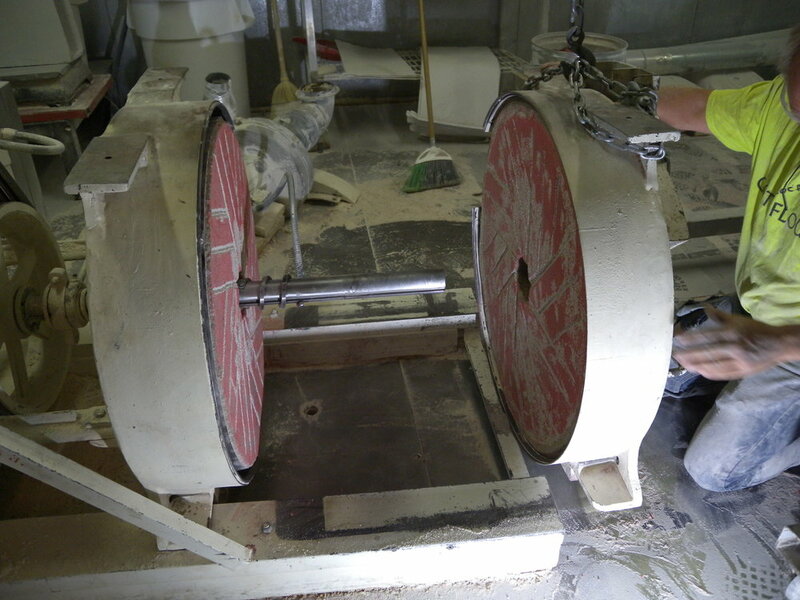 The stones are taken apart on a regular basis, painted with a food grade mix of flour, water and food coloring, to show the high points, cleaned and ground to be even again. This keeps our product consistent and the highest possible quality. Cleaned, the two stones are fit back together. As the stones rotate, the grains are ground to flour, retaining all their nutrients because the process stays cool. 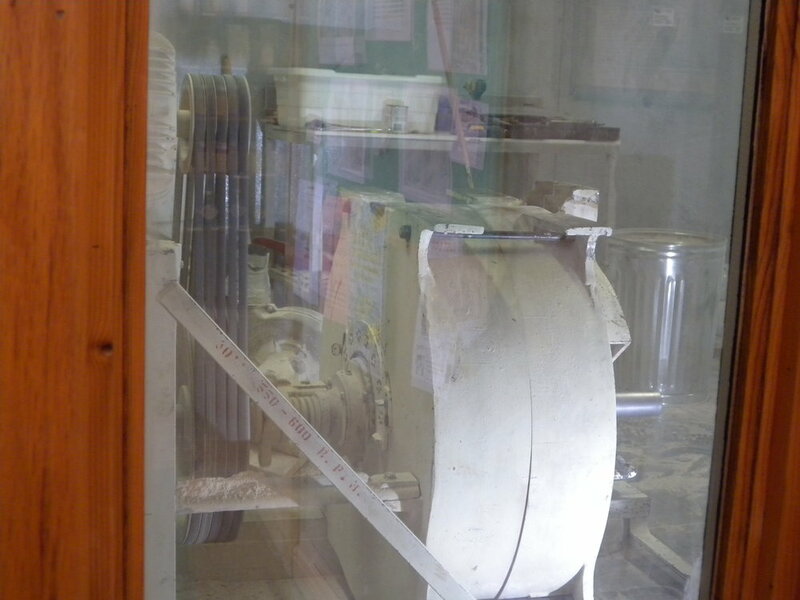 Depending on the setting, the mill can grind grains to different levels of coarseness, which can then be sifted further for different kinds of flour.